This article explains the concept of Gamification in a practical way. After reading, you’ll understand the basics of this powerful psychology and motivation tool. 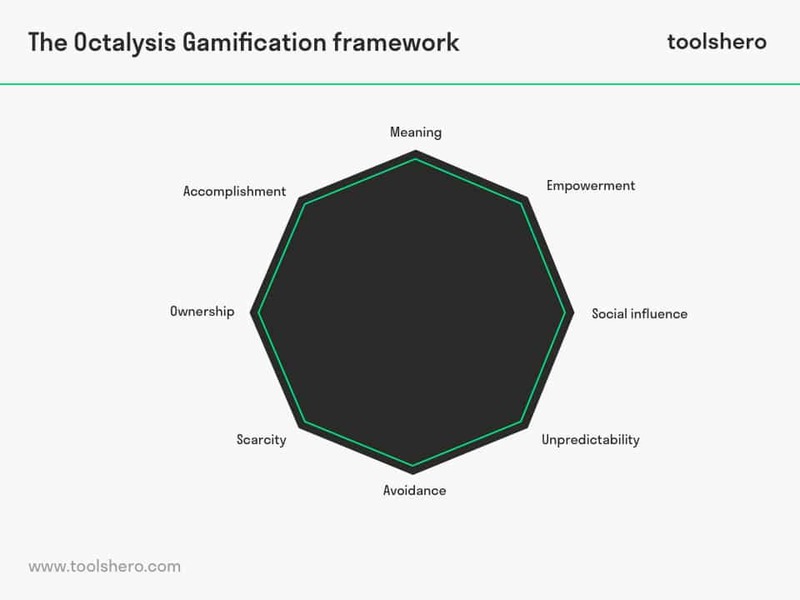 Gamification is the use of elements from games and the implementation of playful methods in real-life situations to stimulate involvement, change or motivation in the user. Gamification is a neologism, a relatively new language element, which entered the context of computer software in 2008. However, it only became known and widespread after 2010. In Africa, for example, Gamification was applied by placing small toys in soaps. These toys only appeared after prolonged use of the soap. As a result, children were more likely to wash their hands, which resulted in fewer diseases and infections. In business, Gamification is the process through which game theories, visualisations or methodology are used to improve business processes. Gamification is also used for marketing, sales and customer service, but if used with enough creativity, it can be applied almost anywhere within the company. The essence of Gamification is to control and change the use, natural instincts and behaviour of people. In addition to social applications, companies also use Gamification in vying for customer loyalty. It’s not surprising, therefore, that a number of companies have developed Gamification platforms. Companies such as Microsoft, IBM and Deloitte use Gamification in various applications and processes. In 2013, a Gamification event was held at the University of Waterloo Stratford. Will Wright, designer of the 1989 video game “Sim City”, was the main speaker. This motive or driver is about the belief that the user contributes to something larger than himself or is chosen to take action. An example of this is Wikipedia. Volunteers who update information on the site don’t receive any reward or compensation, but they believe that what they do contributes to something greater that will help increase human knowledge. One of the drivers of motivation is the desire to progress, develop skills and face challenges. Many Gamification systems focus on this motive, such as the ability to score points and compare them to other users’ on scoreboards. Creativity includes the desire to invent new things and try out different combinations. The results play an important role in people’s motivation. Take the example of Lego. When something is designed well or beautifully, this makes the user happy and intrinsically motivated to design even more fun things. This driver is about the user who owns something and wants to remain the owner of it. Asset accumulation plays an important role in this. An example of this is the purchase, maintenance, and customisation of an avatar in a particular system. This driver includes all the social elements that motivate people in social contexts. This includes: mentorship, social acceptance, social involvement, company, competition and jealousy. A person can be motivated to do something due to the fact that a friend or colleague excels at a certain skill, and this person also wants to excel. This driver is about wanting something that is not immediately available. Many games have implemented such a motivation technique where users are asked to return to the game within hours to claim a reward. Unpredictability and involvement are closely related because the user doesn’t know what will happen in the future. The curiosity that ensues makes the user more inclined to keep a close eye on developments. This is also one of the drivers behind a gambling addiction. Avoidance is a motive that motivates people to prevent something negative from happening. Examples include marketing promotions with limited validity periods and speculative investments where a late entry may lead to the loss of a once in a lifetime opportunity. A commonly used term to describe this motive is ‘the fear of missing out’. In marketing, Gamification is known as Gamification Marketing, or Game Marketing. Starbucks, for example, makes use of this. Customers can check in at multiple locations and earn points in this way, which they can then exchange for discounts. While Gamification can be used for business purposes, i.e., making a profit, it can also be used to alter people’s routines with the goal of making them healthier. In Copenhagen, a staircase next to an escalator was equipped with piano keys. The result was that more people took the stairs, in order to play with the piano keys, which in turn encouraged movement. As mentioned earlier, in Africa, the use of toys in hand soap encouraged more frequent hand washing, which in turn raised awareness about hygiene. Health and business can also go hand in hand, as evidenced by the huge increase in popularity of the game Pokémon Go. Users are encouraged to move about in order to collect Pokemon. One can clearly see how this game plays on one’s drive for property and possession, as well as social influence and solidarity. Gamification is also used in education. For example, the New York Department of Education, funded by the MacArthur Foundation and the Bill and Melinda Gates Foundation, established a school called Quest to Learn. This school focuses on game-based learning with the aim of making learning more attractive to children. Although Gamification can be an excellent tool in engaging customers and attracting their interest for a particular purpose, it is not without criticism. A frequent criticism of Gamification is its manipulative nature. Developers often research human psychology, but this is also the reason why many people also like gaming. Another point of criticism is the extrinsic motivation that reinforces Gamification. If the only driving force behind the medium is a reward, to what extent will Gamification be effective in permanently changing routines and practices, in a positive sense, if the rewards are removed? What do you think? 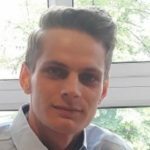 Are you familiar with the explanation about Gamification? Do you recognise game elements in systems, apps or situations in everyday life? To what extent do you think that Gamification can be used to solve social problems? Deterding, S., Sicart, M., Nacke, L., O’Hara, K., & Dixon, D. (2011, May). Gamification: using game-design elements in non-gaming contexts. In CHI’11 extended abstracts on human factors in computing systems (pp. 2425-2428). ACM. Lucassen, G., & Jansen, S. (2014). Gamiﬁcation in Consumer Marketing-Future or Fallacy?. Procedia-Social and Behavioral Sciences, 148, 194-202.